Are Your Online Advertisements Working? Use Analytics To Find Out! Are your online advertisements working? Are they helping you grow your business or just wasting your money? These are basic question that are surprisingly hard to answer for most small business owners. If you’re paying to advertise your business it’s important to know what is working and what isn’t. Online advertisements are a great way to increase your brand awareness, leads and sales. If they aren’t properly monitored and optimized however, you can find yourself wasting a significant part of your marketing budget on ads that aren’t actually helping you reach your business objectives. So how can you tell if your ads are working? 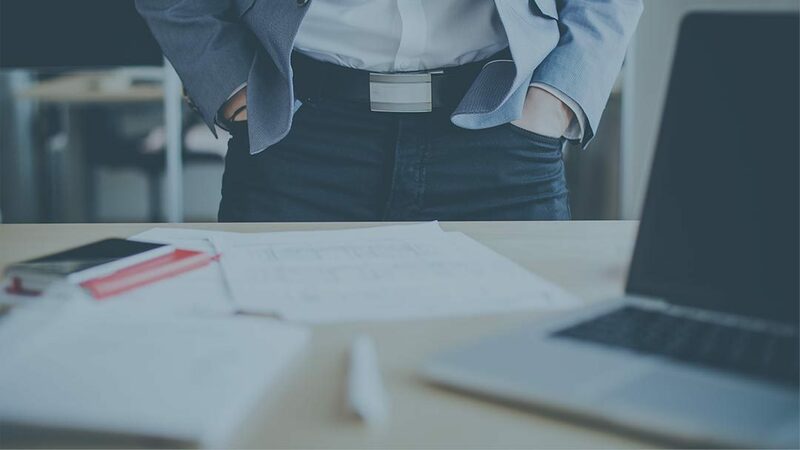 In this article we will discuss how the use of analytics tools will show you how your web visitors interact with your website. In part 2 we will discuss how to use goal tracking to see exactly how much revenue your ads generate for your business. Building brand awareness. Simply having the customer be aware of your business. Selling more of a specific product or service. Once you have a goal in mind you will need to choose which metrics you will use to judge whether or not you’ve met that goal. For a campaign designed to build awareness for your brand your main gauge of success will likely be how many people view your ad. For a campaign designed to boost sales of a product you will be more focused on ad clicks and sales figures. Now that you have an actionable plan the question becomes how to properly track your ad’s performance. Proper ad tracking is done with analytics tools. Most online advertising platforms offer built-in analytics tools that show basic metrics like how many consumers saw or clicked your ads. While data like this is a good start, it doesn’t give you the complete picture of how well your ads are performing. It doesn’t show you how those consumers interacted with your website after clicking your ad. To see this you will need a third party analytics suite like Google Analytics. Knowing how consumers interact with your website is important to understanding how well your ads are performing. To demonstrate this let’s imagine that we have two ads running on Facebook but only have the budget to keep one of them. We first log in to our Facebook page and check how both ads are performing. So far the first ad has over 100 clicks while the second one only has around 50. Looking at this information we would assume that the first ad is the clear winner and decide to continue running it. Rather than stopping there however, we instead decide to check our Google Analytics data. In Google Analytics we notice that out of the 100 people that clicked in the first ad, only 10 of them actually engaged with our website. The other 90 left immediately without interacting with our website at all. The second ad fared much better however, 30 people out of the 50 were engaged with our site. Where it mattered most, the second ad performed around 3 times better than the first, despite only having half of the clicks. Without this added information from Google Analytics we would have stopped the wrong ad and our website leads would have been only 33% what they could have been. Page URL. Which URL the tracking code loaded on. Viewport. Whether the visitor was viewing your website on a mobile phone, tablet or desktop computer. Location. The geographic area where each customer is located. All of this data is then compiled by Google Analytics and organized into reports to give you meaningful insights about how consumers interact with your website. Once Google Analytics has been properly installed on your website, it will start collecting data about how consumers interact with your website. To see an overview of how your website is performing, first login to analytics.google.com using the Google account information you used to set up the Analytics account. Once logged in you will be redirected to your Google Analytics Homepage. This report gives you an overview of how many users have visited your site and how they interacted with it. What it doesn’t tell you is how they got to your website in the first place. For that you will need to look at the “Acquisition Overview” report. To get to the Acquisition Overview report click on “Acquisition” on the left side navigation bar, then “Overview”. Direct – traffic from visitors that came directly to your site by typing your web address into their search bar. Organic Search – traffic from a search engine results page. Paid Search – traffic from a search engine advertisement. Display – traffic from display advertisements. Social – traffic from a social networking site like Facebook, Pinterest or Youtube. Email – traffic from email marketing campaigns. Referral – traffic coming directly from other websites. Other Advertising – traffic from other forms of paid advertising. Affiliates – similar to referral except affiliate traffic is typically paid for. (Other) – any traffic that Google Analytics can’t place into another channel. While the “Acquisition Overview” report does show you how the different channels are performing as a whole, it does not tell you how well each advertising campaign is performing. 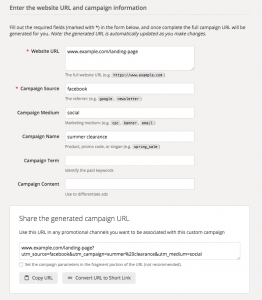 For that you will need to tag your campaigns with added information. To tell Google Analytics which visitors are coming from each of your ads you will need to add Campaign, Source, and Medium information to the URL of your ad’s landing page. To make this process easy for advertisers Google offers a free custom URL builder. Simply add in the names you wish to use for your campaign and the URL builder will generate a custom url that you can use as your ad’s landing page. The “Campaign” dimension is the name of the individual marketing effort that you are tracking. For example, if you are tracking the results of an “End of Season Clearance” Facebook advertisement your campaign name would be something like “end of season clearance”. The “Source” dimension is the website where the ad is located. For online advertising this is usually the website where the ad is being displayed. Using the above example our source would be “facebook.com”. The “Medium” dimension groups similar sources together for easier analysis. For example, Facebook, Twitter and Instagram are grouped into Google’s default “social” medium. This allows you to see how each individual source is performing, while also looking at how your social media is performing as a whole. Once you’ve added in your dimensions, paste the URL of your ad’s landing page in the “Website URL” field then click on the “Copy URL” button at the bottom of the URL builder. You can then use this custom URL as the destination URL of your ad campaign. Consumers that click on this URL go to the same page as before. The extra information added by the URL builder will now tell Google Analytics where those consumers came from. You can now log into your Google Analytics account and see how users from that ad campaign interacted with your website. But what do you do with this information? To see how each ad campaign is performing we will use the “All Campaigns” report. To get to this report first click on “Acquisition” on the left side navigation menu. Click “Campaigns”, then “All Campaigns”. This report shows us at a glance how users from each of our campaigns interact with our website. 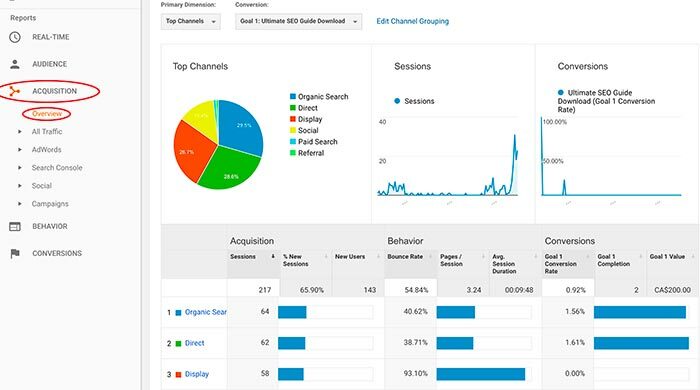 To see how engaged visitors were look at three metrics; bounce rate, pages/session and average session duration. An example of an “All Campaigns” report. By default is shows you data at the Campaign level. You are able to also view data at the Source and Medium levels by selecting them on the top menu (highlighted). Bounce rate is the percentage of visitors that didn’t interact with your website after landing on your website. This means that they didn’t view any other pages, click any links or submit a form. A high bounce rate (over 80%) is a big problem. It means that visitors are not interested in what you’re offering. For a more in depth look at bounce rates, check out our article on lowering the bounce rate of your website. High bounce rates on landing pages can be caused by many different things. If your ads send visitors to your homepage or other general webpages you can usually expect a high bounce rate. If consumers don’t immediately see what they want after clicking on an ad, most won’t go looking for it. Change the ad’s landing page to one that is more relevant to your ad to improve your bounce rate. If your landing page is already relevant to what you are advertising, consider re-writing your ad. Make sure that your ads do not promise anything that is not mentioned in your landing page. Pages/Session (pages per session) is the average amount of pages that visitors viewed before leaving your website. In general, the higher the pages/session the better. 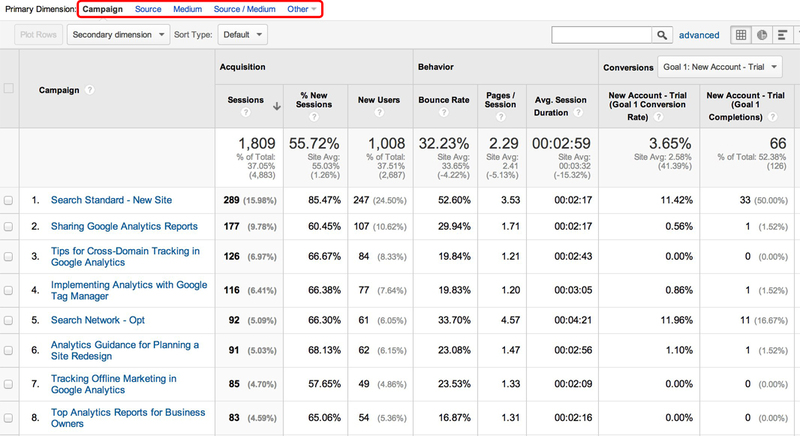 Higher pages/session means more engaged visitors. If your landing page is designed to capture leads directly, a high pages/session is actually a bad thing. It means that users are searching your website for something else and not filling out the lead capture form. For more information on how to fix this, check out our article on designing landing pages. Average session duration is the average amount of time a visitor stayed on your website before leaving. Much like pages/session, the higher the average session duration the more engaged the visitor. A high pages/session with a low average session duration means that users couldn’t find what they were looking for. It indicates that visitors clicked around your website without thoroughly reading anything. Like high bounce rates, this could indicate that you’ve chosen the wrong landing page. We now have a very good idea of how visitors from our ad campaigns are interacting with our website. Are they turning into customers though? In part two of this article we explore how to use goal tracking in Google Analytics to track how revenue our ads generate.